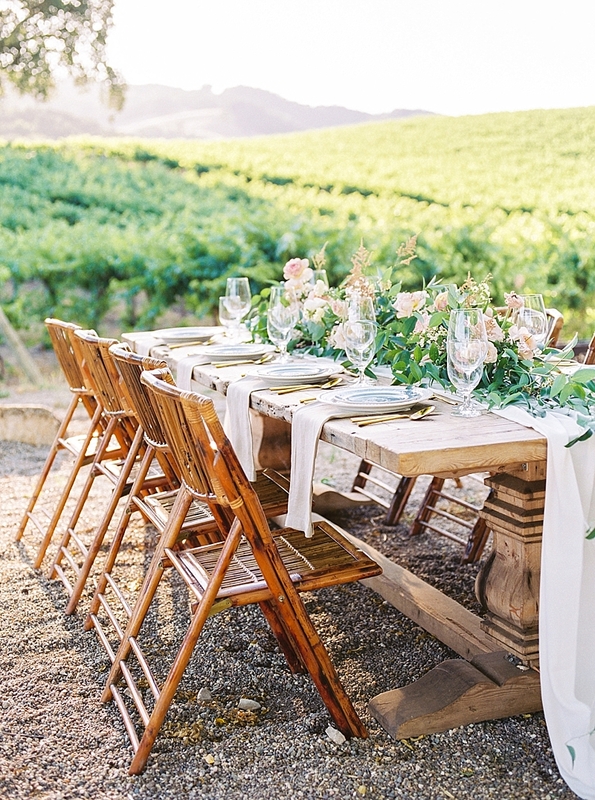 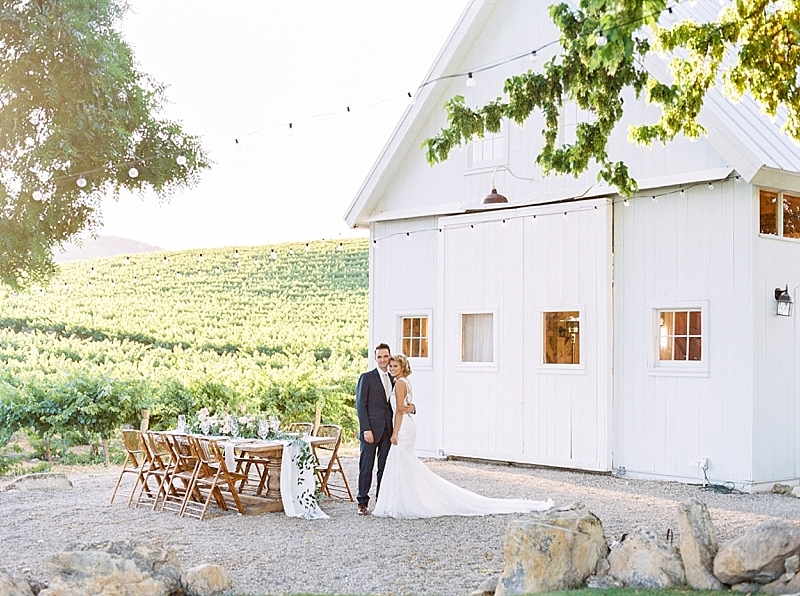 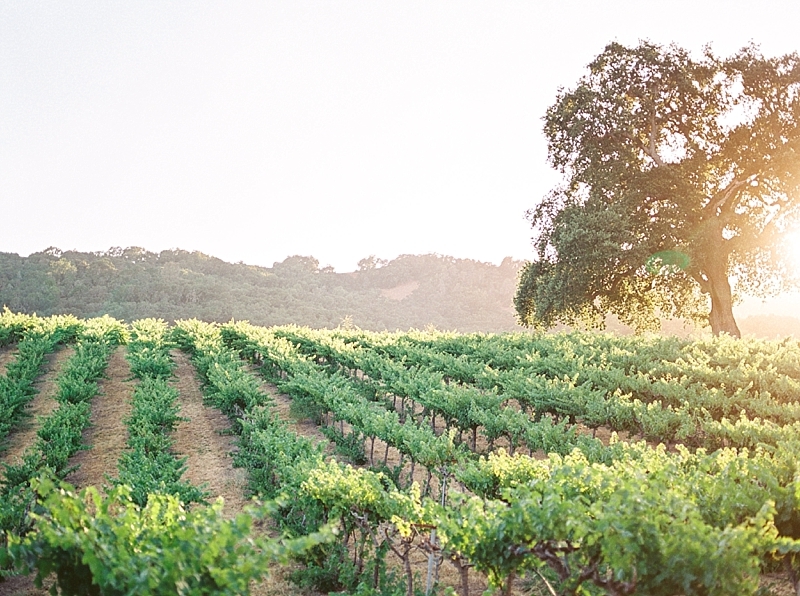 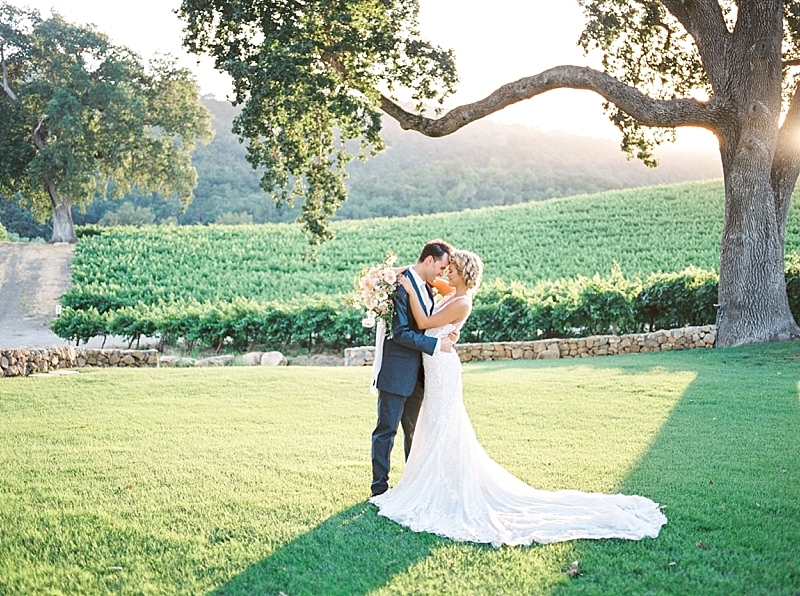 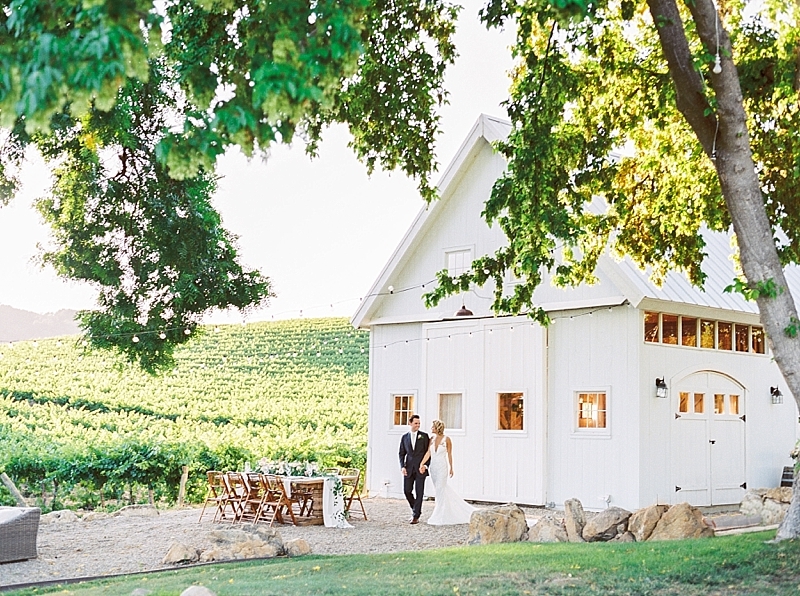 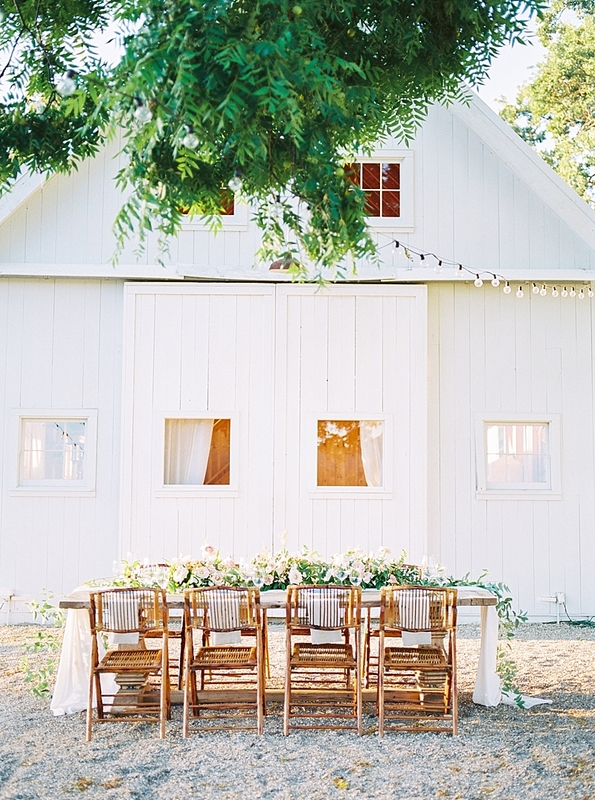 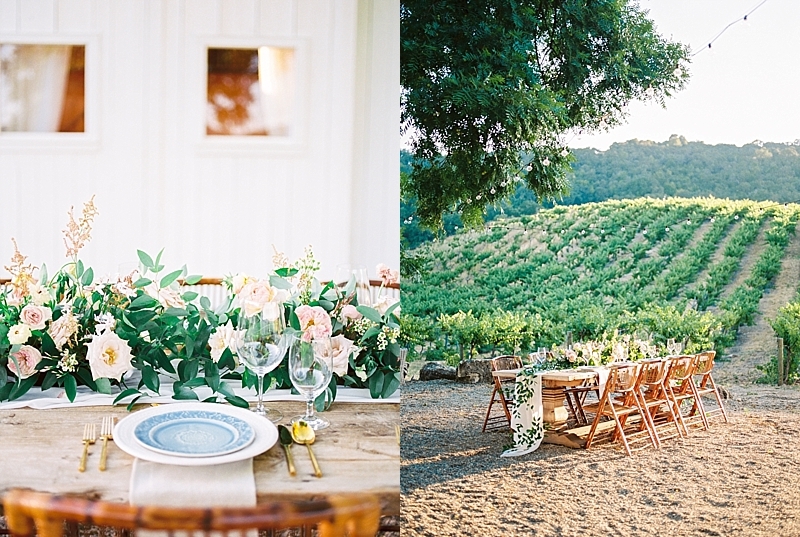 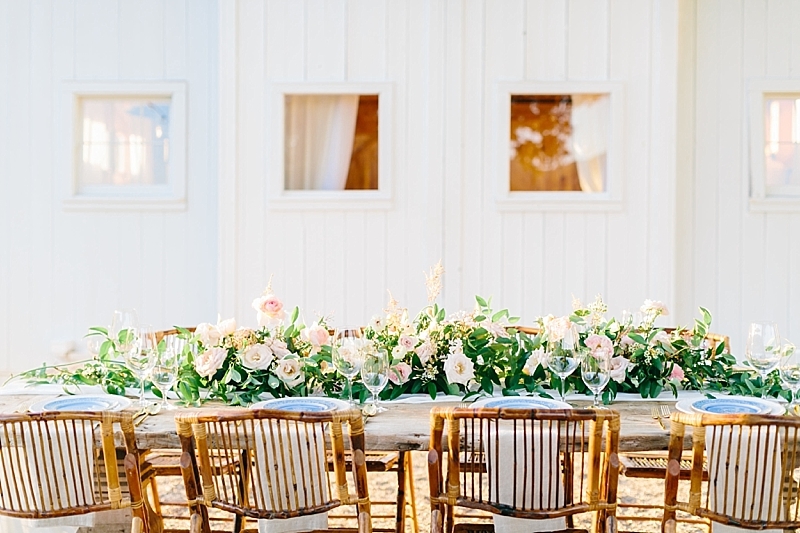 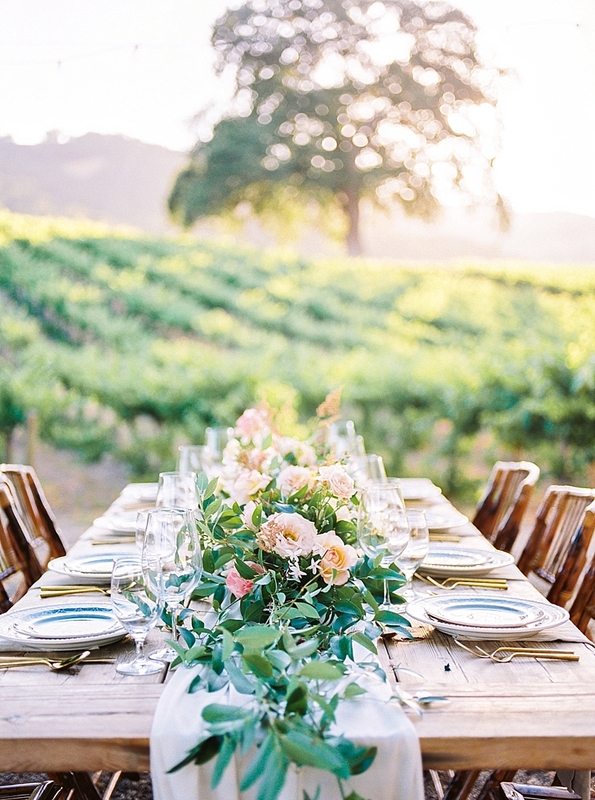 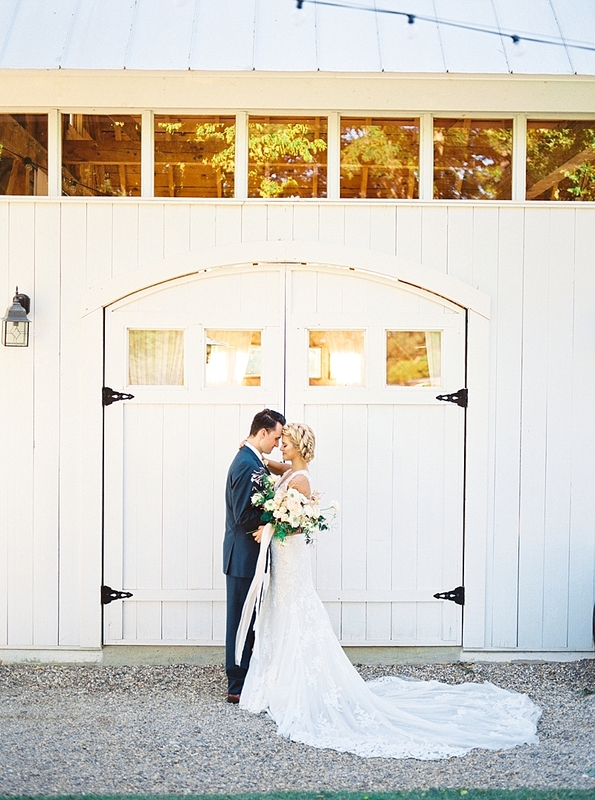 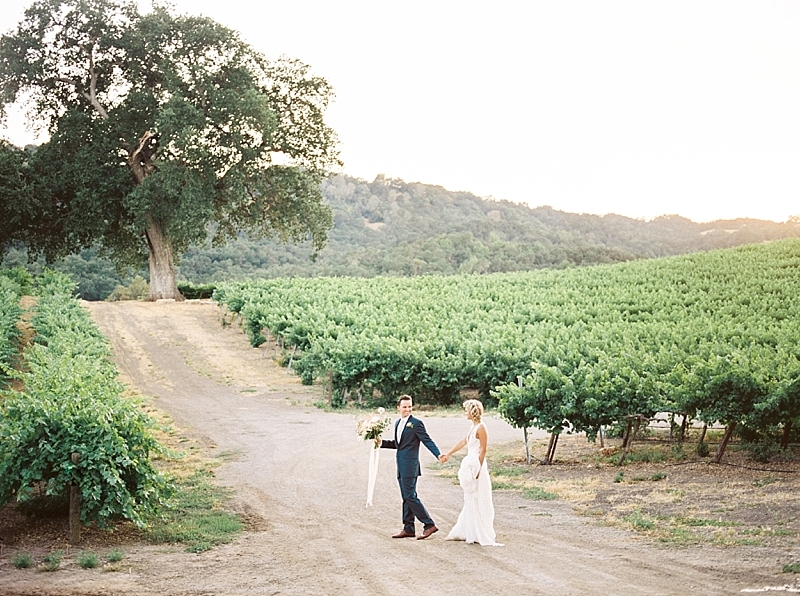 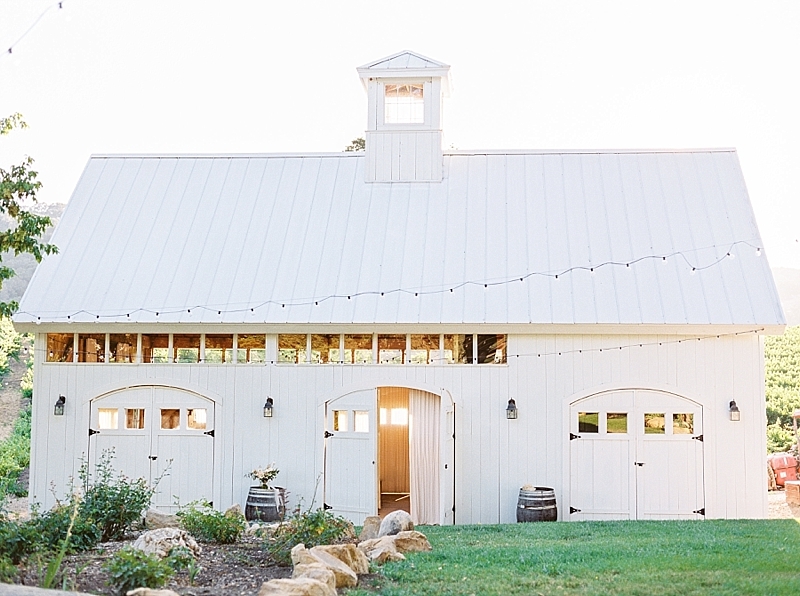 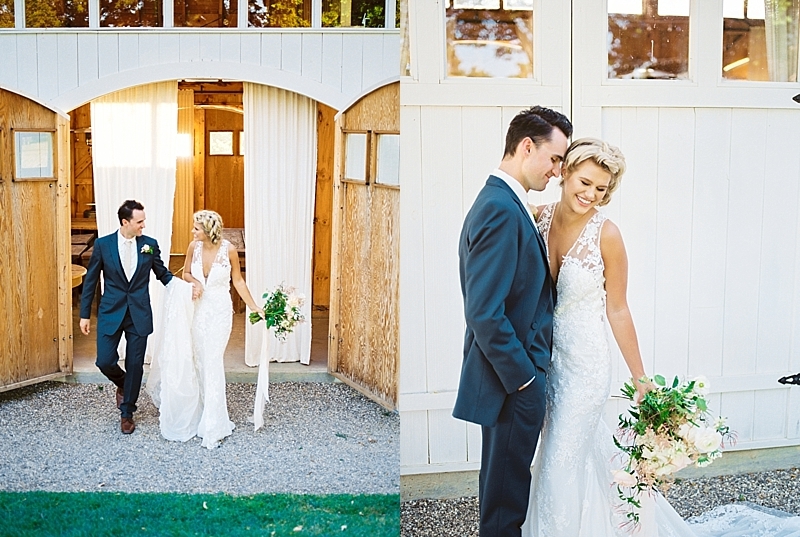 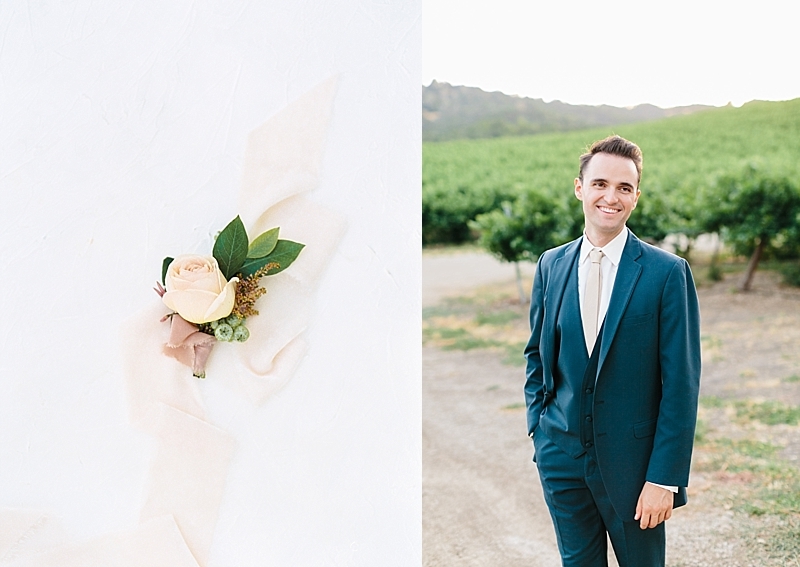 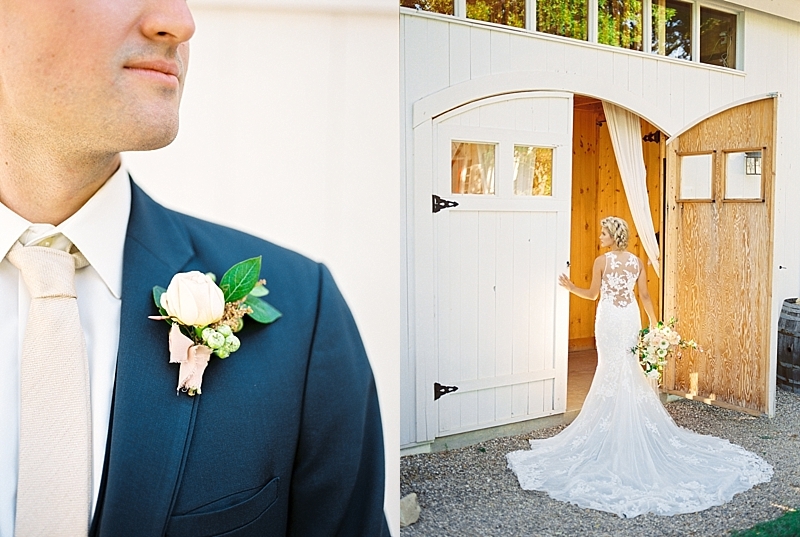 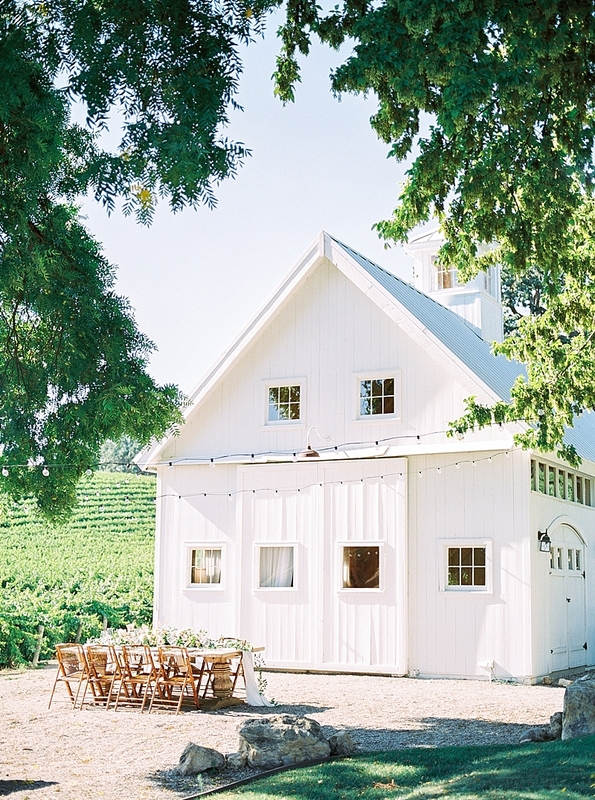 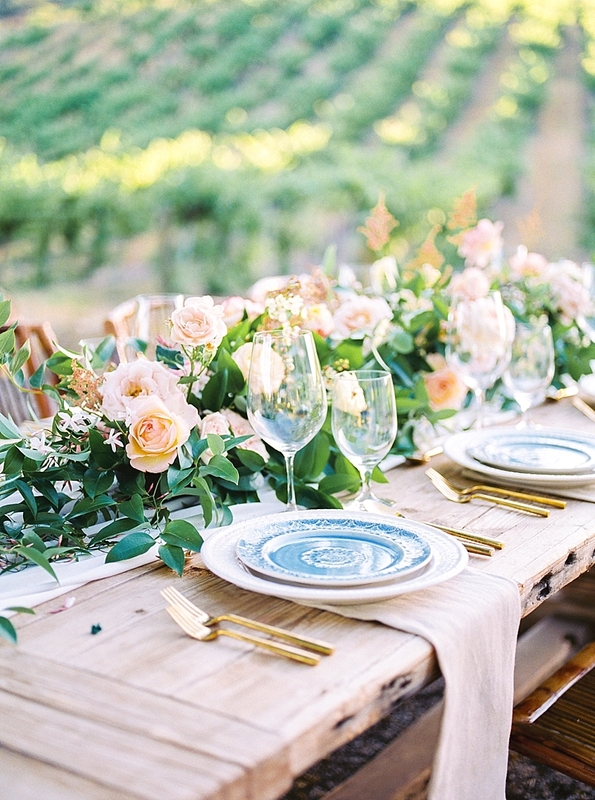 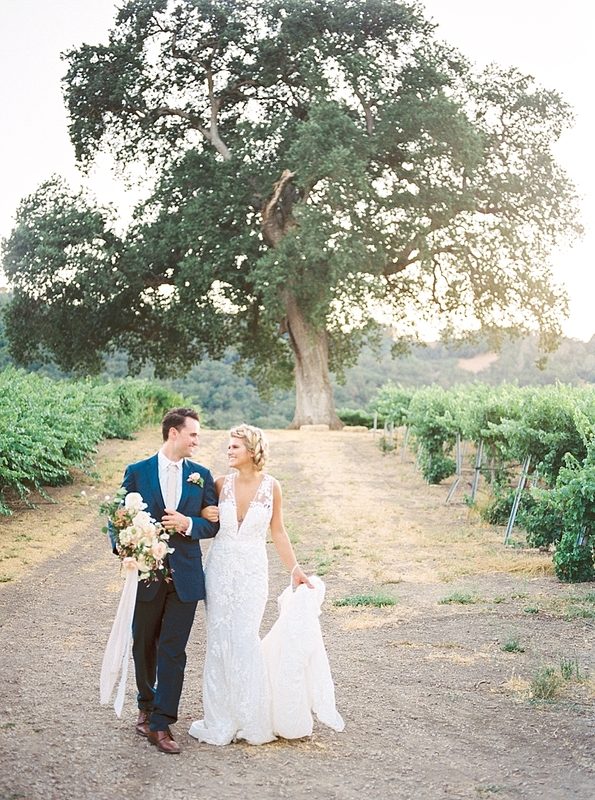 "The sweetest white barn, rolling vineyards, and lush florals made for the most dreamy inspiration at Hammersky in Paso Robles. 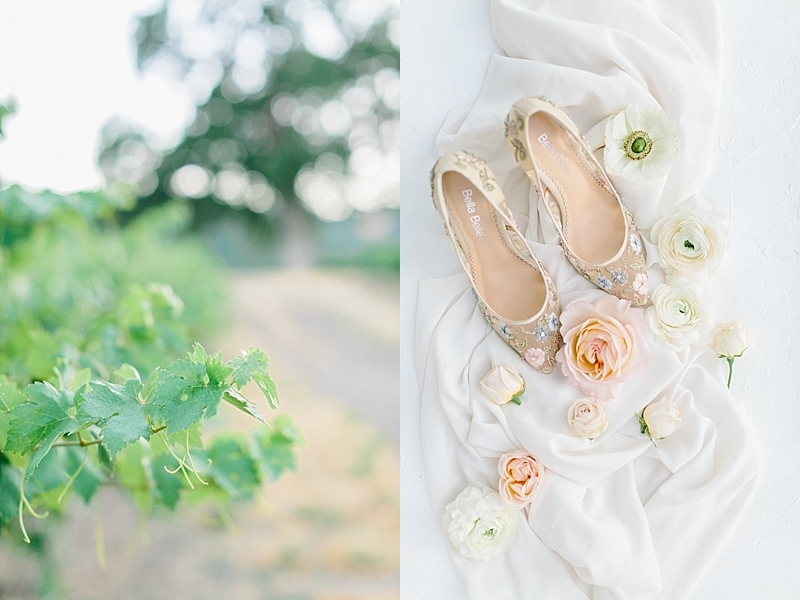 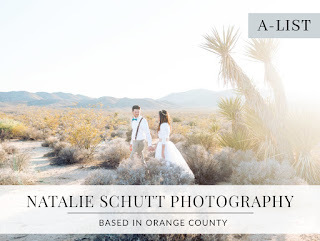 Natalie Schutt captured every romantic detail including a gorgeous gown by The Dress Theory, intricate floral Bella Belle shoes, and the gorgeous table set up designed by Ivory & grace with florals by Idlewild Floral. 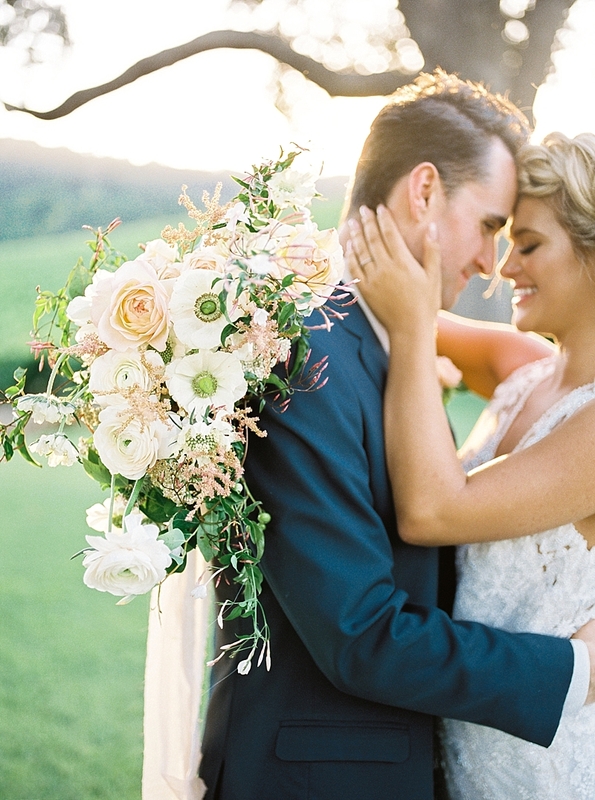 This was the perfect golden hour romance! 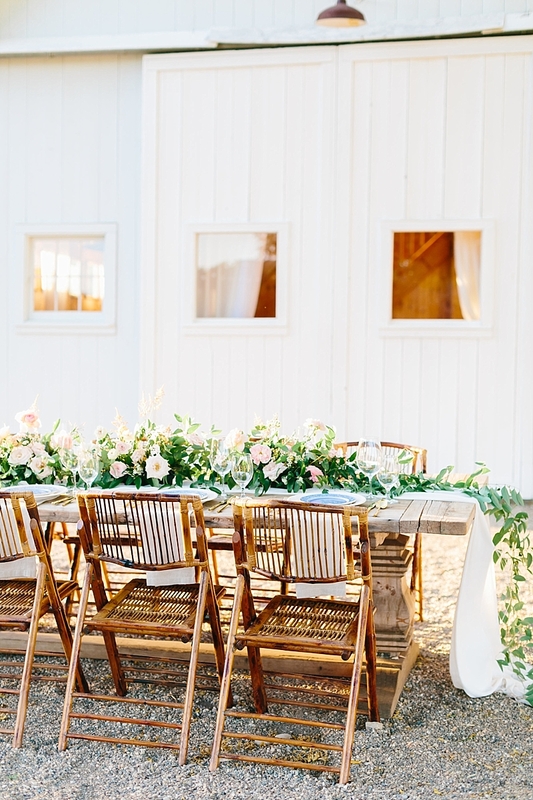 We wanted to create a soft, romantic feel that would be perfect for an intimate gathering full of close friends and family under hanging lights and golden hour glow. 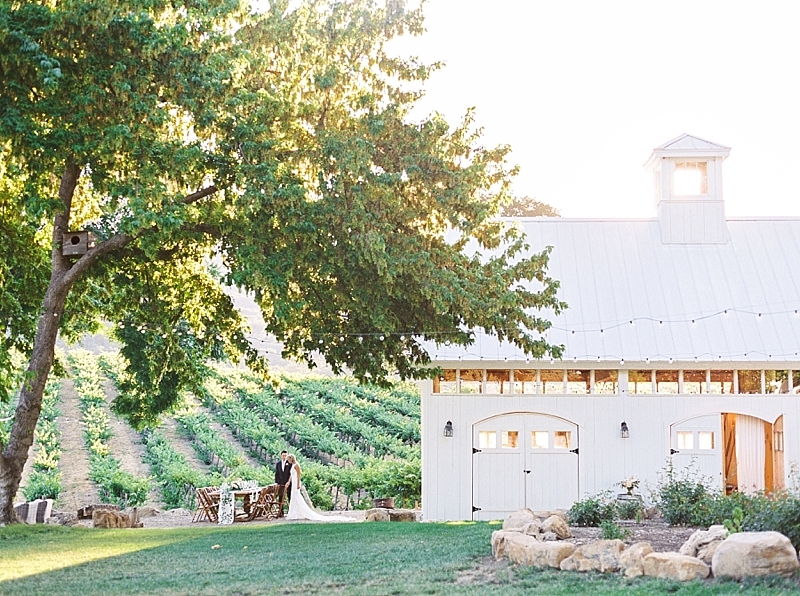 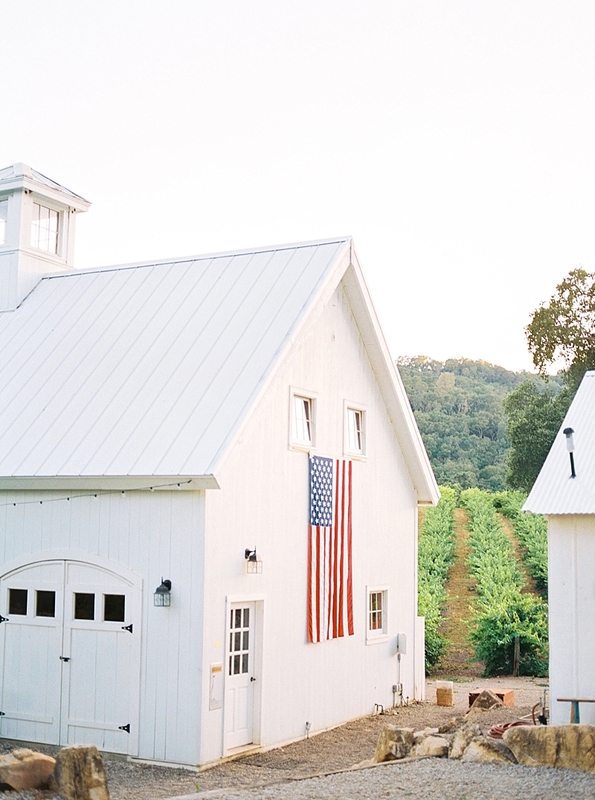 I was inspired by the picturesque white barn and organic nature of grape vines and sweeping oak trees. 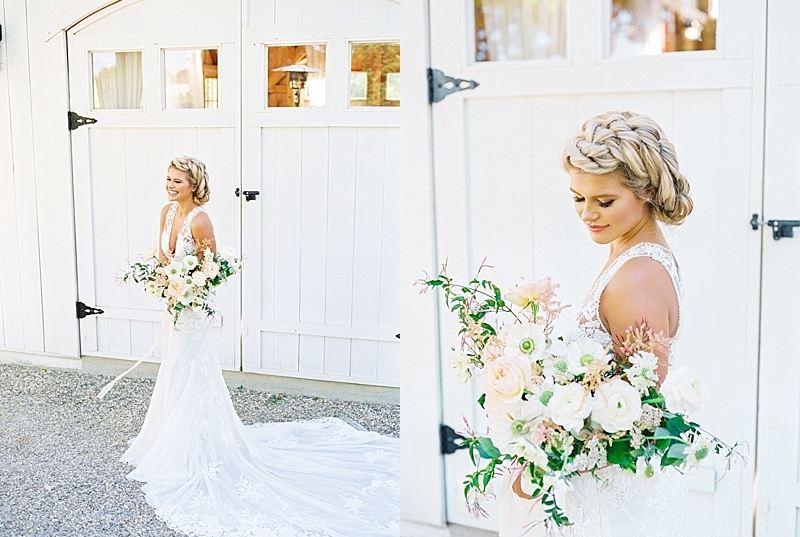 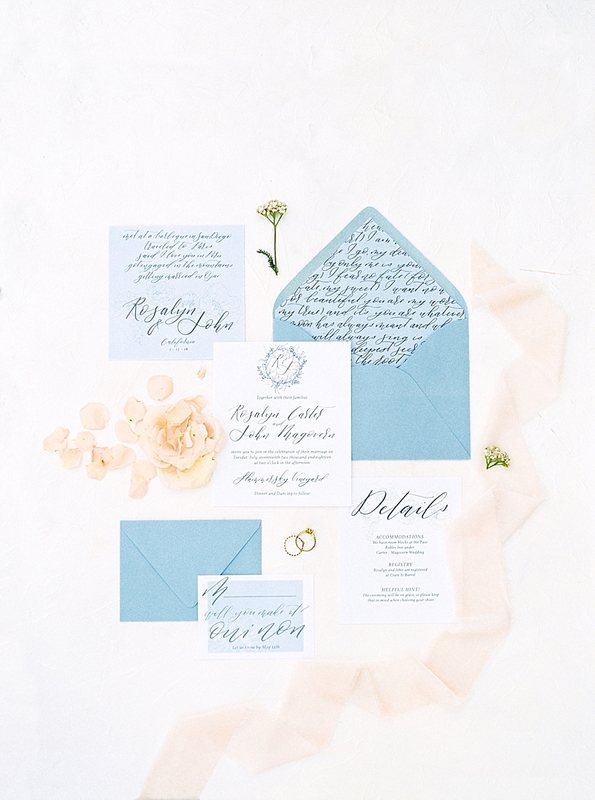 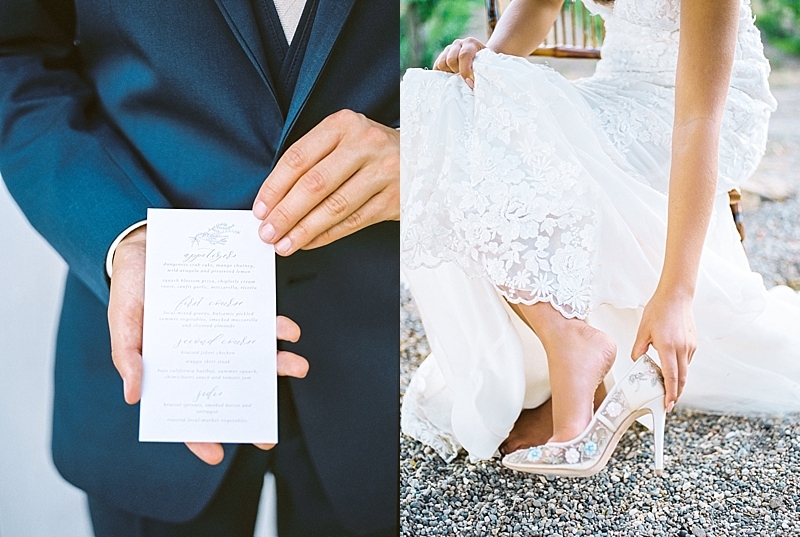 I wanted the inspiration to be full of garden florals and clean soft details."